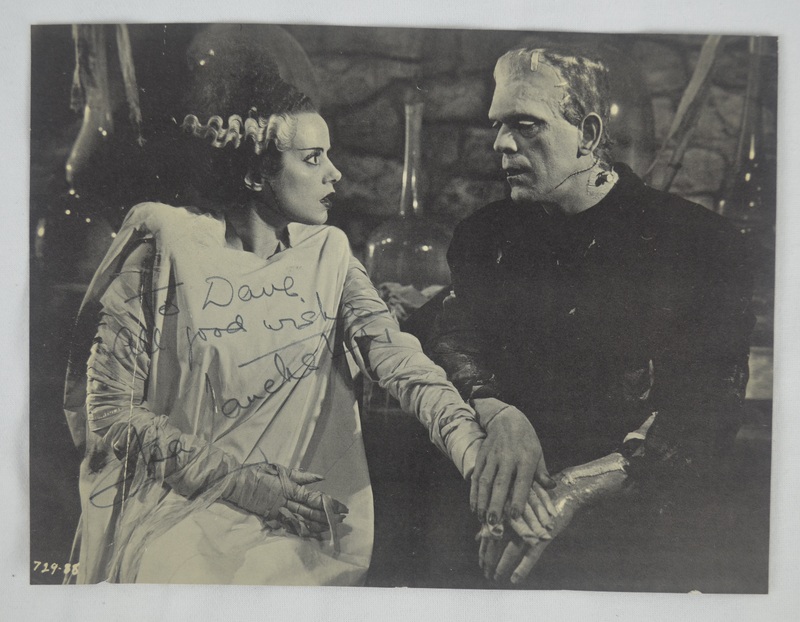 This lot features a rare 8x10 "Bride of Frankenstein" photograph signed by late actress Elsa Lanchester in black marker. Her role as the title character in Bride of Frankenstein (1935) brought her recognition. She played supporting roles through the 1940s and 1950s. She was nominated for the Academy Award for Best Supporting Actress for Come to the Stable (1949) and Witness for the Prosecution (1957), the last of twelve films in which she appeared with Laughton. 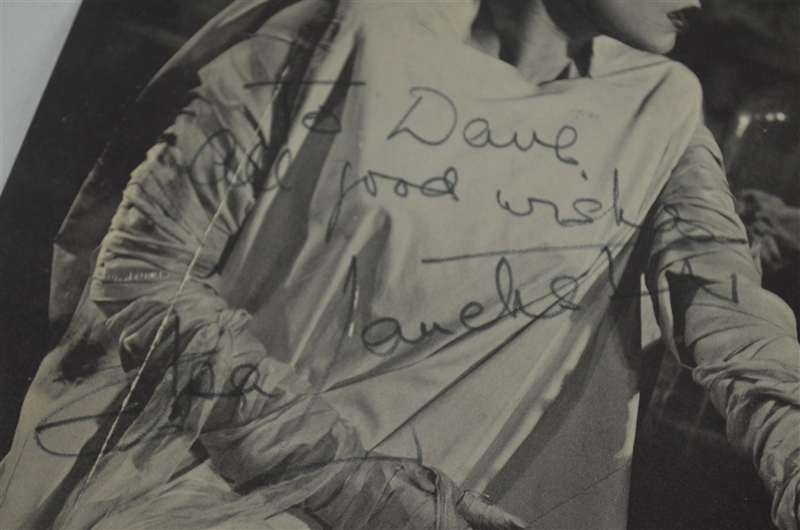 Following Laughton's death in 1962, Lanchester resumed her career with appearances in such Disney films as Mary Poppins (1964), That Darn Cat! (1965) and Blackbeard's Ghost (1968). The horror film Willard (1971) was highly successful, and one of her last roles was in Murder by Death (1976). She passed away back in 1986 at the age of 84.